Movie fans—it's that time again—the Oscars. You can finally see who wins for Best Actress, Best Director or Best Screenplay tomorrow night during the 83rd Academy Awards at 8 p.m. (EST) on ABC. For those of you on the west coast, that would be 5 p.m. (PST). The Academy has produced a great official app for those with an iPhone, iPod touch or iPad (free). Even if you aren't watching the awards on TV, you can still get up-to-date information on who wins what, but that's not the best part—you can make your own predictions and compete with your friends. 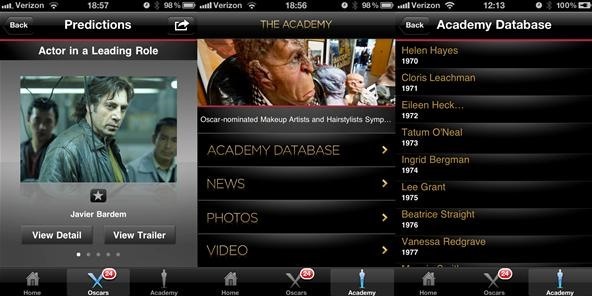 Just download The Oscars app from iTunes here (or directly from your iOS device). 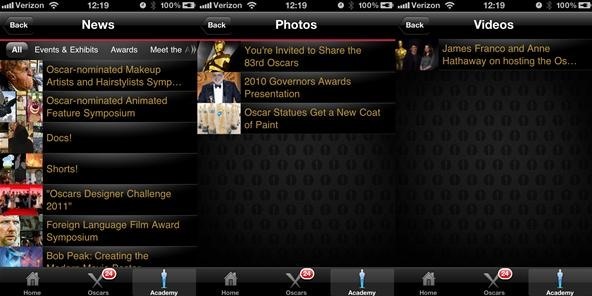 "Make your Oscar predictions and compete with your friends, then stay up-to-date on Academy goings-on all year long with the Official 2011 Oscars iPhone application. During Oscar season, access complete Nominee lists, insider information on each film, viewable trailers and more. Make a prediction in each category, compare with your group of friends and share your picks through Facebook, Twitter, text and email. Real-time scoring lets you see how you scored against your group and the rest of the community." It's actually quite fun—and addicting. If you're a movie buff, you're going to want to make your predictions in all of the 24 categories. 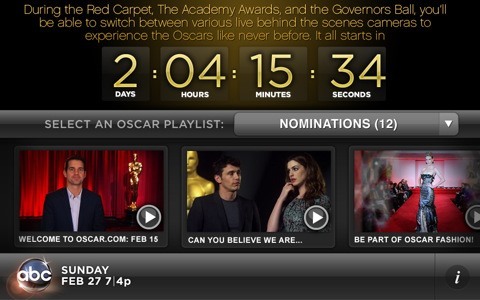 From the home screen, just click on the Oscars tab to get started. If you want to see everything about the previous Academy Awards, go to Academy tab, where you'll be able to browse all of the past winners in the Academy Database, along with up-to-date news, photos and videos for 2011 Oscars. Unlike the app above, this one costs $0.99 as is produced by ABC itself, giving you "backstage" access to the awards ceremony. "Get the ultimate insider's view of Hollywood's biggest night with Oscar Backstage Pass! The Oscar Backstage Pass app is the perfect companion app to have when you are watching the 83rd Academy Awards on February 27th. You'll get access to live streams from exclusive cameras placed throughout the Red Carpet, the Kodak Theatre and the Governors Ball so you can go beyond the tv broadcast and watch more live Oscar action as it's taking place. 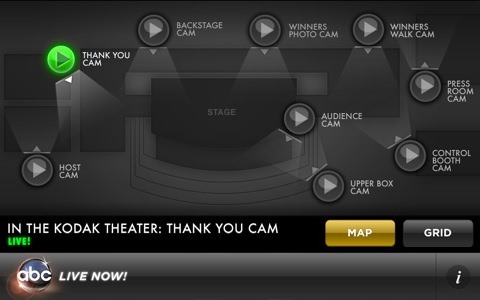 With Oscar Backstage Pass you get more stars, more glamour, more of everything you love about the Oscars!" If you want an interactive experience this year, this is definitely the app for you. Download the Oscar Backstage Pass here from iTunes (or on your device). 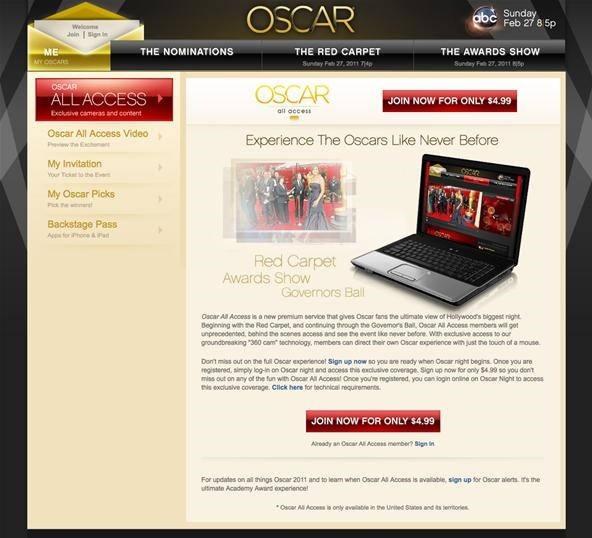 The Oscar Backstage Pass requires an Internet connection and iOS 4+. Camera availability and placement is subject to change. 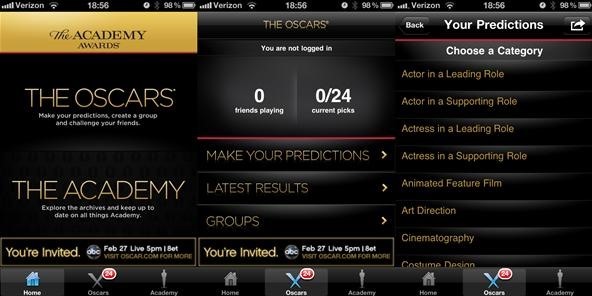 No matter where you're watching the Oscars, this app can go with you! Even if you aren't watching them on TV, you can watch them from a totally different perspective with this app. One more option for you—and this one doesn't require an iPhone—ABC's All Access Pass. If you're throwing an Oscar party, this is absolutely a must, though it will cost you $4.99. "Oscar All Access is a new premium service that gives Oscar fans the ultimate view of Hollywood's biggest night. Beginning with the Red Carpet, and continuing through the Governor's Ball, Oscar All Access members will get unprecedented, behind the scenes access and see the event like never before. With exclusive access to our groundbreaking "360 cam" technology, members can direct their own Oscar experience with just the touch of a mouse." If you have a big screen monitor, it's the perfect companion to your big screen TV on the wall, giving you and your party guests even more to talk about.